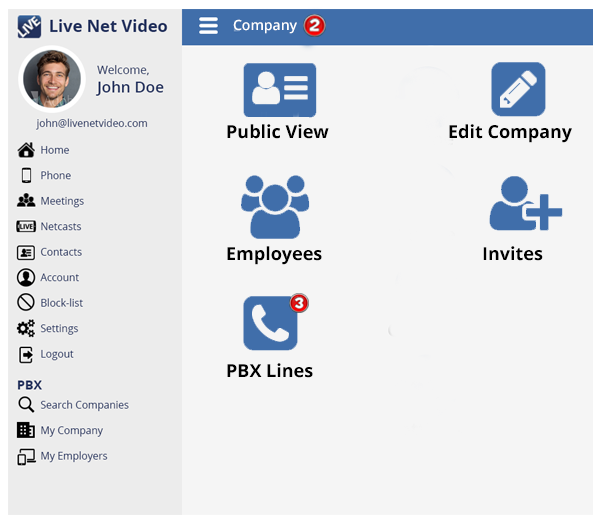 To Edit a Video Connector Extension, click the Edit Button on PBX line you want to edit. 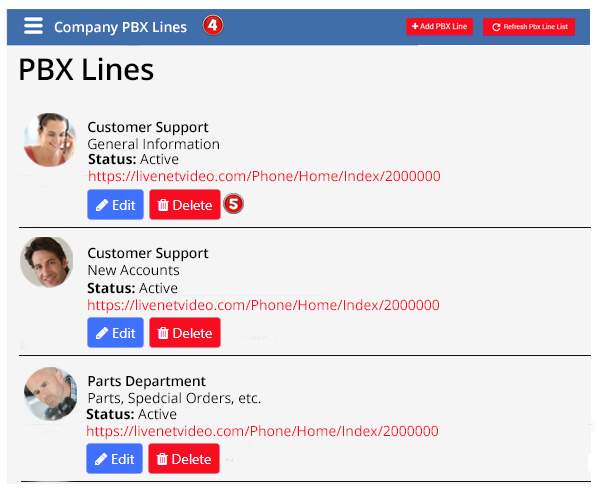 After clicking on the Edit Button, the Edit PBX screen will open. 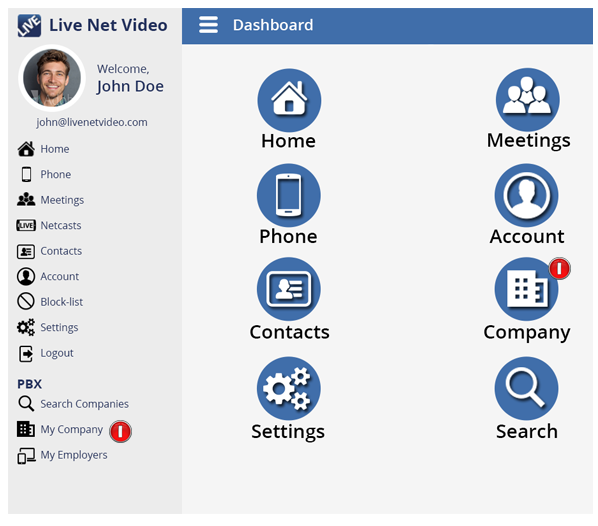 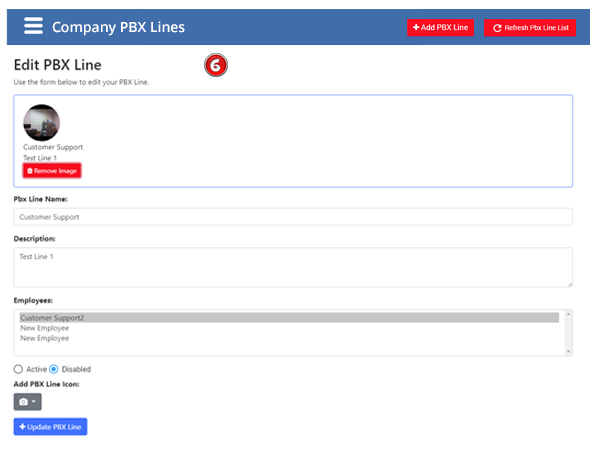 From this screen you will be able to Edit any of the fields for the PBX Line, including adding an image.